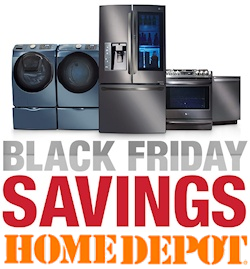 Home Depot Black Friday Appliance Deals Start Now! As they do every year, Home Depot has put their Black Friday appliance deals online several weeks early so you can take advantage of them without the craziness of Black Friday. 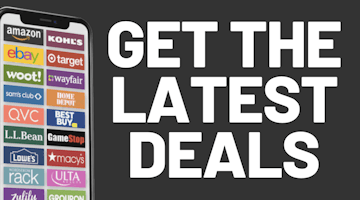 These are the exact same deals that will be in Home Depot's Black Friday ad. Free delivery on $396 or more. Back again this year, save up to an extra $500 by purchasing more than one appliance together. Save $60 on 2 appliances, $150 on 3, $250 on 4, $400 on 5 or $500 on 6 or more appliances priced at $498 or more and microwaves $248 or more. Savings available through November 29th.